My boyfriend and I stopped by Sound Bites Restaurant (in Somerville’s Ball Square area) yesterday for dinner. 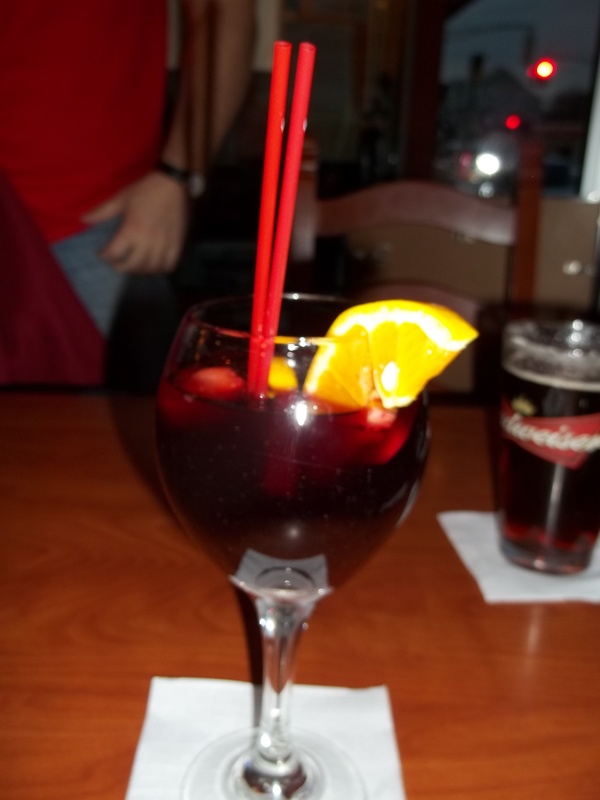 He started off with a draft beer, and I ordered sangria. The restaurant, which is open 11 a.m. to 11 p.m. Monday through Thursday, 11 a.m. to midnight Friday and Saturday, and noon to 11 p.m. on Sunday, has a full bar. It’s thoroughly decorated for Christmas, making you feel right at home. We were the only customers at one point, but that may have been because we ate so early (around 5 p.m.). I ordered the Mid-East Combo Plate #1. For this dish you choose three of the following: falafel, hoummous (commonly spelled hummus), mujadra (includes lentils, caramelized onions, rice and yogurt sauce), baba ghanough (mashed eggplant with various seasonings), grape leaves, sauteed cauliflower, and tabbouli. I ordered mujadra, grape leaves, and baba ghanough. 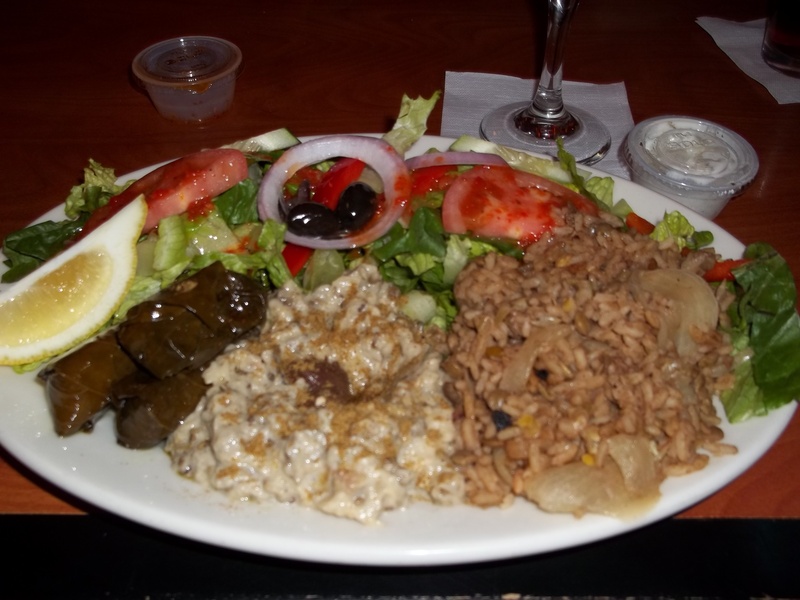 It came with a salad and yummy olives (and was just $9.99!). 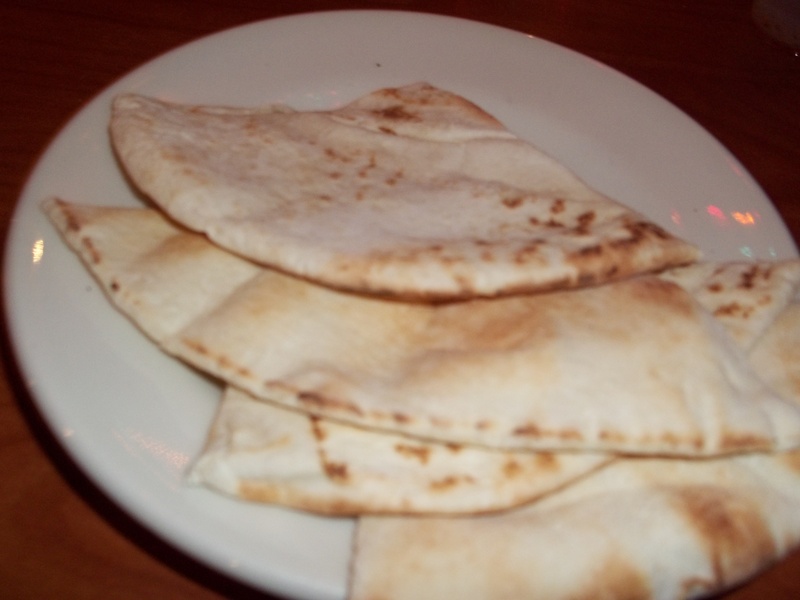 They accompany the meal with warm pita bread. 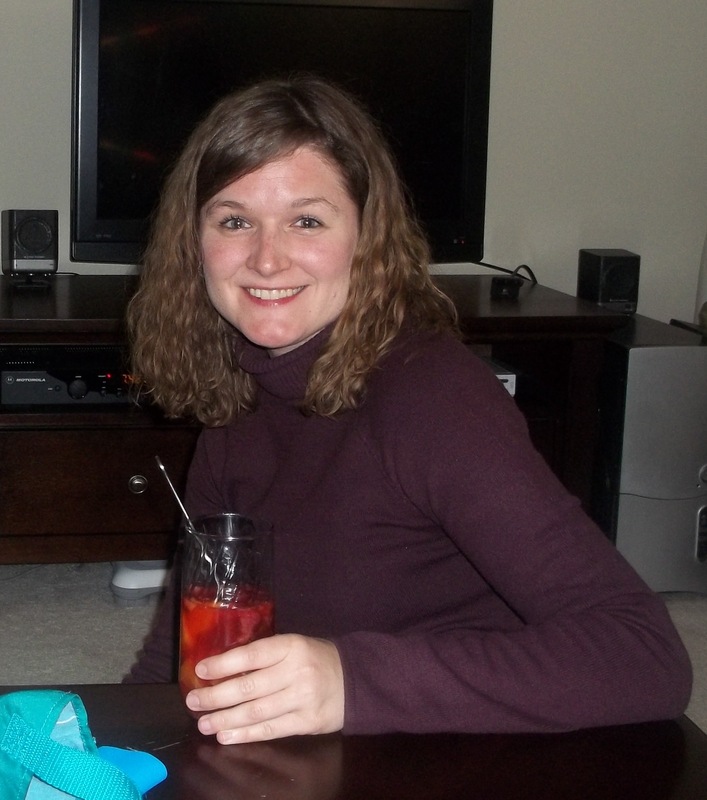 It was quite good. 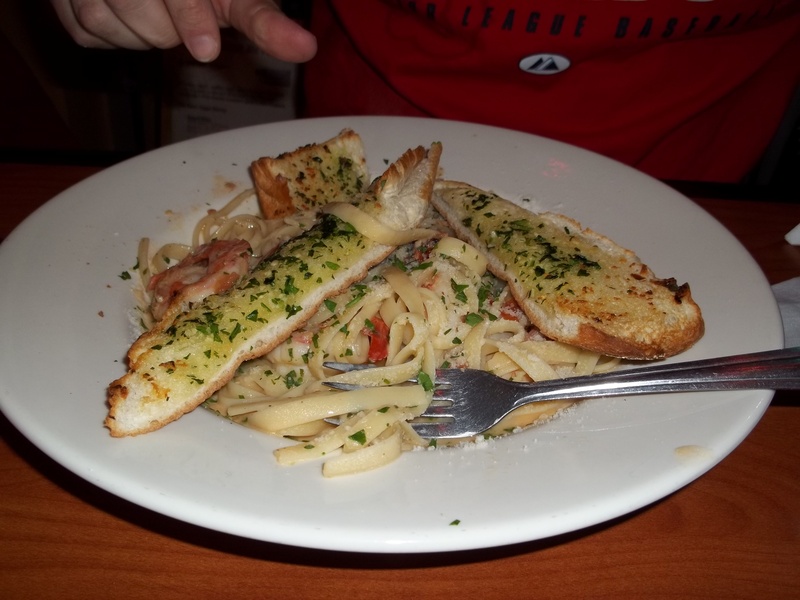 My boyfriend had shrimp scampi. While my meal was good, his was fantastic. I don’t know what they put in that sauce, but it really made the meal. 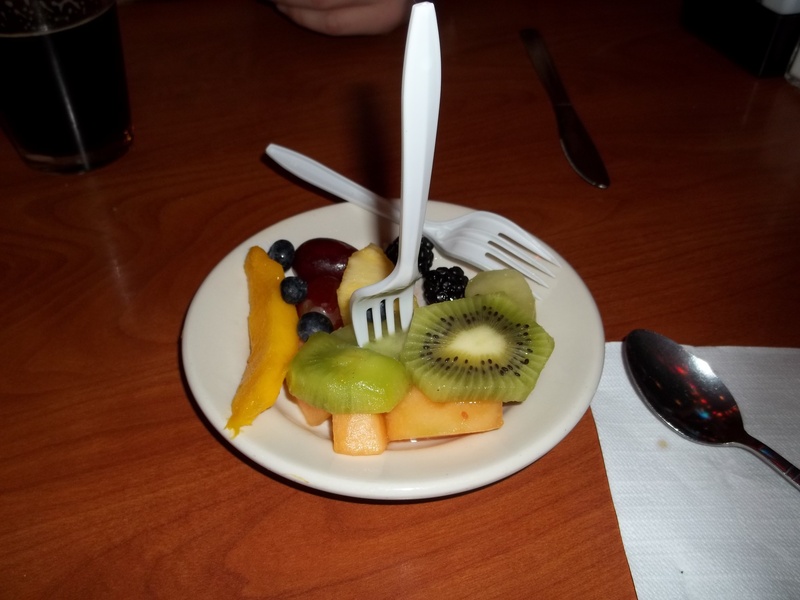 The kind waiter gave us a free plate of fruit afterward. What a nice touch! All the fruit was fresh and tasty. I will definitely be going back there!